Every year on the 22nd March the world celebrates International World Water Day. This year marks its 25th anniversary. Time for us in Connecting Nature to focus on this important resource. Today several events all around the globe laud water as the building block for life and discuss how to improve water availability and quality and how to reduce natural hazards related to water. With 2018's theme “Nature for Water” nature-based solutions are put centre stage on World Water Day! This demonstrates that not only within Connecting Nature are nature-based solutions being put to the test, but that this is happening in many other projects all around the world. Natural wetlands, which can be used as water storage. Riparian buffers, these are strips of land along water courses planted with native trees and shrubs. They protect soil from erosion and the adjacent water course from pollution. Floodplains, which can mitigate the effects of climate change such as extreme flooding. Nature-based solutions are a sustainable and cost-effective way to rebalance the water cycle and support in mitigating the effects of climate change. They can cleverly supplement insufficient or ageing water infrastructures. But nature-based solutions do not only do that: they have multiple effects such as creating additional recreational space, increasing biodiversity by expanding natural habitats and can contribute to the creation of a circular economy, in which the waste of resources is minimised by slowing, closing, and narrowing their usage loops. These multiple effects of nature-based solutions related to water are closely connected to the Sustainable Development Goals. This is translated through the “International Decade for Action: Water for Sustainable Development 2018-2028” launched at the United Nations Headquarters in New York today. But what exactly are the Sustainable Development Goals? These were adopted by the United Nations in 2015 with the objective to end poverty, protect the planet and ensure prosperity for all. Each goal has specific targets to be achieved over the next 15 years. Everyone is called upon to contribute to reach the goals: governments, the private sector and civil society. Goal 15: Life on land: Wetlands can reduce pollution by filtration and increase biodiversity by expanding natural habitats. The Factsheets continues to list some water related fact and figures. 25 to 40 billion tonnes of topsoil is lost every year as a result of erosion from croplands of which the runoff, is also a major contributor to water pollution. Looking at the above figures it is clear that action is needed to reach the Sustainable Development Goals. 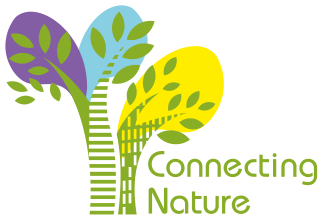 I am pleased that with Connecting Nature we can provide our, albeit small, contribution! If you want to know more about the activities around International World Water Day and the theme “Nature for Water”, check out the World Water Day Events Map and Stories on www.worldwaterday.org.